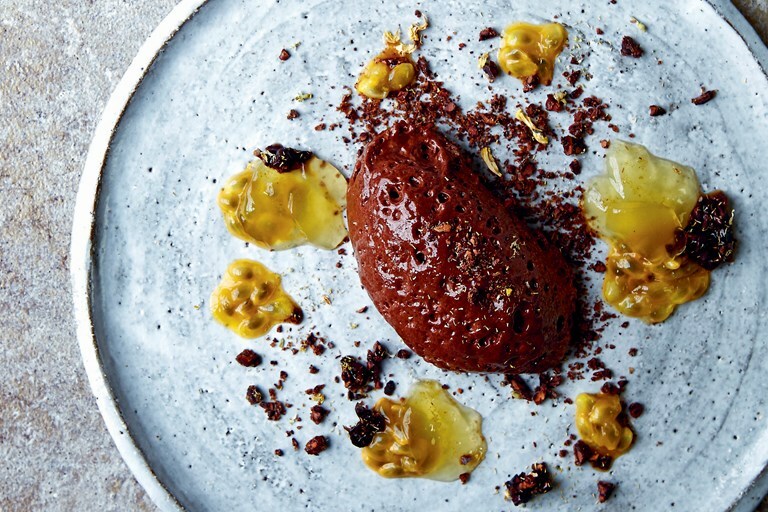 This rich vegan chocolate mousse recipe is served with fragrant chamomile jelly and caramelised cocoa nibs for a stunning dinner party dessert. Fresh passion fruit adds a sweet yet tangy counterpoint to the rich flavours in the dish. This recipe is taken from Planted by Chantelle Nicholson, published by Kyle Books. Images by Nassima Rothacker. To serve, roughly chop the caramelised cocoa nibs. Scatter on 8 plates, then divide the passion fruit pulp and jelly between the plates. Finish with a large scoop of the chocolate mousse.